Hello, Yes, Northern Rhodesia tonight. 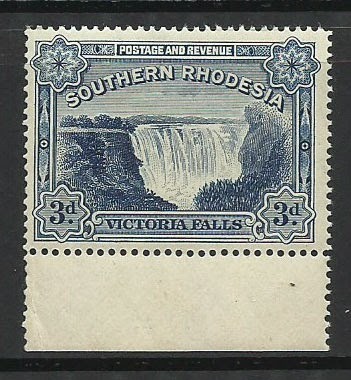 just this one stamp SG 88 VFU, catalogued in my SG 2013 Catalogue at £40 and it is now available in my Bidstart Store from my website, along with more Northern Rhodesia. 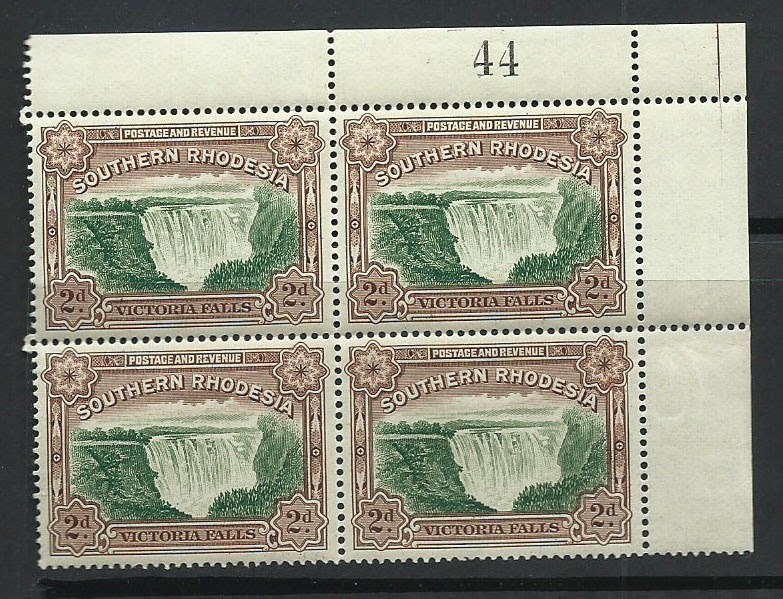 I just wish I had time to show you more but if you look in the Store and search "Northern" or "Rhodesia" in the Search store For field you will find them. Enjoy seeing them. Not easy to find I think. Hello, Hope everyone is well. 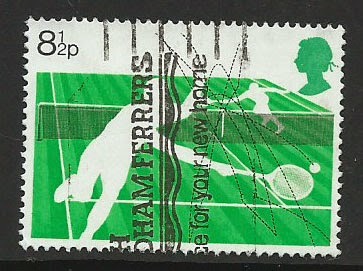 The stamp above, SG 1022 from the 1977 Racket Sports issue, is nothing too special but it was the only one that came to mind when I finally made the time to write and say hello. It came to mind because I was at the Singapore WTA Finals on Friday evening watching Ana Ivanovic play Simona Halep. Really great game. very close and very exciting. Ana's victory may not have been enough to qualify her for the semi-finals but it secured her a year end ranking of number 5. Hello, I have started, finally, preparing my GB Edward VII stock for listings in my Bidstart Store. It will take me a while I am sure but I thought it would be nice to show an example of the material I have. I used to have this listed in my old version of the www.cddstamps.com website, but as many of you may know I lost all the files and listings when the website was rebuilt. Time to rebuild over the coming month and into the new year. I will try. This is a fascinating era for stamp issues in my view. Many shades and varieties to keep you interested. Perhaps you will enjoy reading this link. Enjoy your stamps and please don't forget if you want to fill a gap or two or more in your collection to visit here. And do you know about my Customer Christmas present. Please read previous posting for details. A pair of tweezers, the same as I use every day. what a lovely surprise today...... I received my Customer Christmas Present. That is, a present I give to my customers who spend US $15 or more, exclusive of postage, in my Bidstart Store. I have been using a pair of these for some time now and really like them. Hope you will get to receive a pair. Just visit http://cddstamps.com/bidstart-sales/ select the country you collect and fill a gap of two or more in your collection. Hello, I have been sorting Guernsey for a change. Hope you like this se-tenant pair. It was issued in 2005 to commemorate the 60th Anniversary of the Liberation of Guernsey. 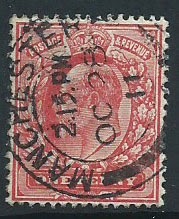 Catalogued as SG 1078/79 with a catalogue value of £5.00. Now available to help you fill a gap in your collection in my Bidstart Store here, along with a few other Guernsey issues from the late 1990 / early 2000 issues. Been a stressful day, time to study some GB Edward VII and relax :-) and maybe list them in the Store although I have no idea when I will find the time to do that. So keep watching. TGIF, Hello everyone. Hope you like this stamp. I used it on a parcel, and got it sent back to me. One of the new 2014 definitive issues. A few more are listed in my Bidstart Store. Not an easy value to find Very Fine Used I expect. And in such lovely condition, with margin. 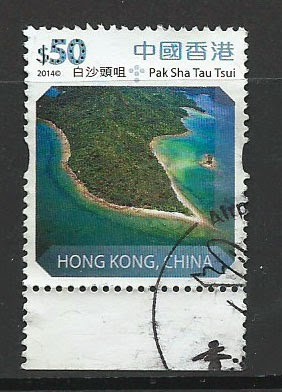 Partly that is because I get the stamps I use on the parcels I mail hand franked by the wonderful staff at HKIA. Friday night and time for a glass of shiraz for a change. Hello, I hope you enjoyed reading about the Interasia Auction. Tonight I thought you might like to see one lot that I found. 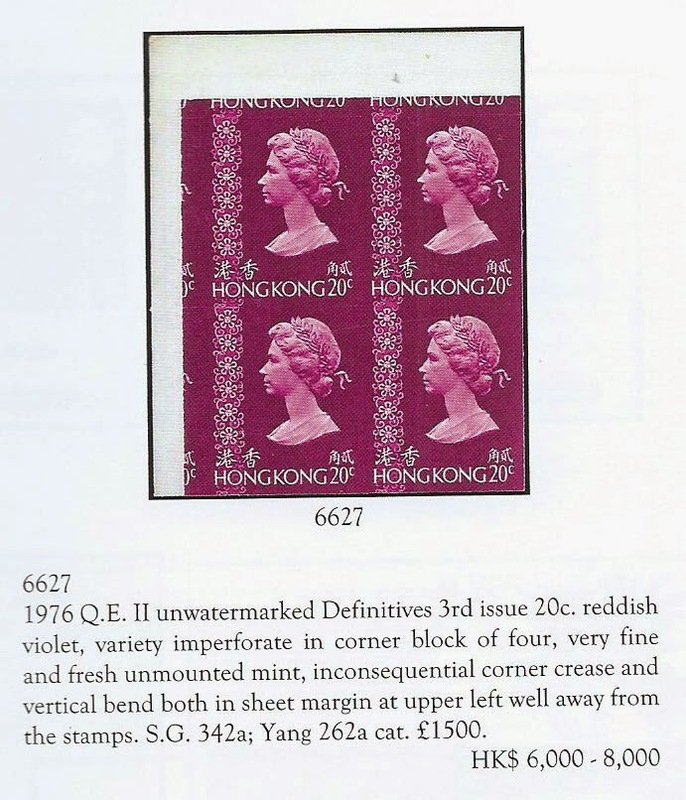 I have been sorting and listing more Hong Kong in my Bidstart Store and found a few of this stamp, not the imperforate kind mind you. So when I saw this block in the catalogue I thought maybe Machin collectors would also enjoy seeing it. Bids open at $6000 HKD that is about £480 as I write. It will be interesting to see what it gets knocked down for. Very nice addition to any collection of Machins I would think. 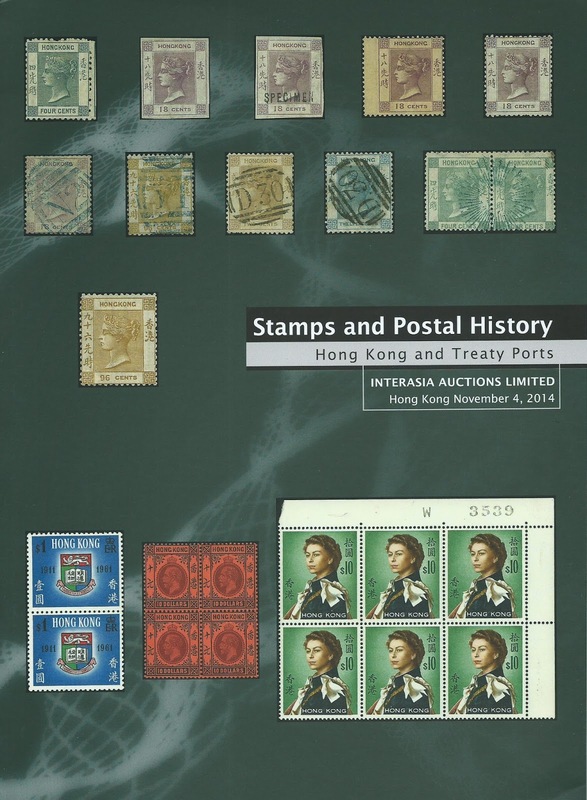 Hello, something very different tonight because today I received my copies of the catalogues for the Interasia Auction here in Hong Kong in November. I must first say congratulations to the Director of the Auction house, Jeffrey Schneider and his team for producing such brilliant catalogues. I really wish my readers could see these. They are collectors items in themselves. Words cannot describe how stunning these catalogues are, and of course the philatelic material on offer is just mind blowing. 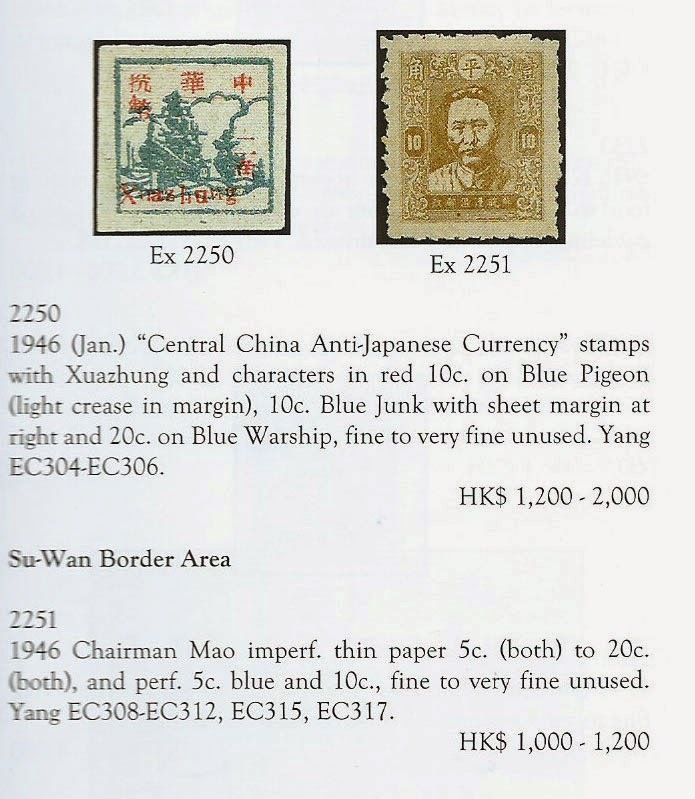 I do not know anything about China stamps but I am learning just from reading these beautiful books. I met Jeffrey at their last auction. I lovely gentleman, and I look forward to seeing him again, as I will be there on November 2nd. While only a few images for you, please have a look at their web site www.interasia-auctions.com You will be very impressed. A couple of items below. Very collectible I think. PS for the more modest collector just have a look at www.cddstamps.com :-) I was going to tell you I had nearly 11,000 items in stock but happily I cannot because I just had 114 sales. That is my far too obvious way of recommending my Store. What a strange sequence of events. 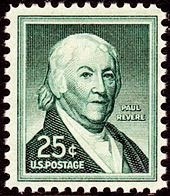 Paul Revere, taxes and stamps. I got my tax bill today and Paul Revere died. That is the Paul Revere of 1960/70s band Paul Revere and the Raiders. Some good tunes. Anyway there was another Paul Revere. From the USA back in the late 1700’s. That was what got me thinking of the two events. The 1700’s Paul Revere was an early revolutionary from Boston. You may also know that he participated in what were called the Stamp Act Riots of 1765. Yes I know they didn’t have postage stamps back then, but you see the connection. The Stamp Act was passed by the British Parliament on March 22, 1765. The new tax was imposed on all American colonists and required them to pay a tax on every piece of printed paper they used. Ship's papers, legal documents, licenses, newspapers, other publications, and even playing cards were taxed. The money collected by the Stamp Act was to be used to help pay the costs of defending and protecting the American frontier near the Appalachian Mountains. What made the law so offensive to the colonists was not so much its immediate cost but the standard it seemed to set. In the past, taxes and duties on colonial trade had always been viewed as measures to regulate commerce, not to raise money. The Stamp Act, however, was viewed as a direct attempt by England to raise money in the colonies without the approval of the colonial legislatures. If this new tax were allowed to pass without resistance, the colonists reasoned, the door would be open for far more troublesome taxation in the future. And here we are nearly 250 years later and guess what, we pay taxes to raise money for governments, not sure we can say it is to spend on regulating commerce though. Thanks to the first Paul for trying, and to the second for some good music. Hello, Saturday here and I just had a lovely philatelic day. Stamps, stamps, food shopping and more stamps. 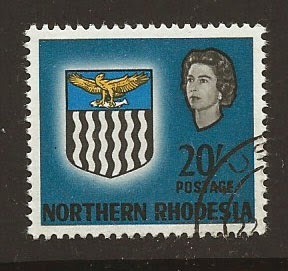 Loaded so many to the Bidstart Store, Especially some lovely Southern Rhodesia if that is a country you collect. Have a look. I think you will find some stamps to add value and variety to your collection. Many blocks, many with plate numbers. Many mint unhinged. Have a great philatelic weekend.